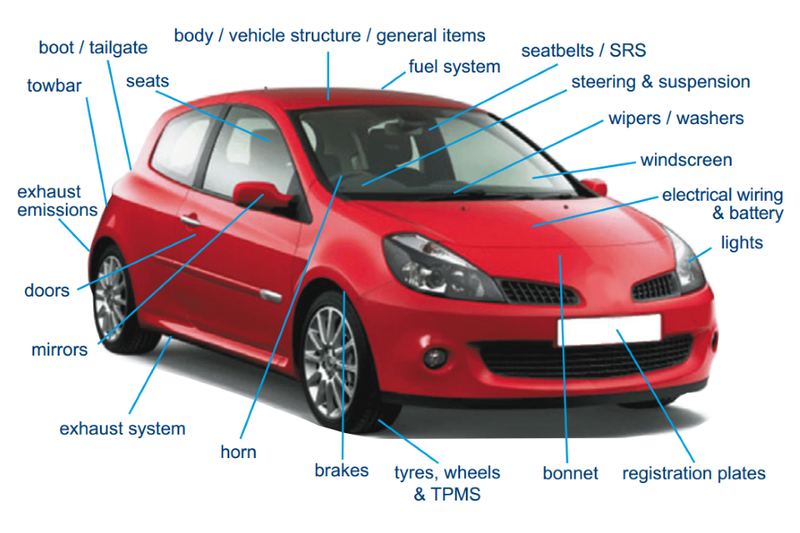 The MOT tests some important items on your vehicle to check that they meet the legal standards. You can read a quick guide about getting an MOT for more information about how the test works. The VIN will be on vehicles first used on or after 1 August 1980. Your car will be inspected to check that a single VIN is displayed, except on multistage build vehicles (eg van conversion, BMW, Alpina etc).The VIN will be on vehicles first used on or after 1 August 1980. Your car will be inspected to check that a single VIN is displayed, except on multistage build vehicles (eg van conversion, BMW, Alpina etc). The MOT inspection manual tells you everything that’s tested how the MOT tester will check it and the reasons things can be failed.